End of the World 2012 prophecy? Today's time, the Internet, other media are flooding the various rumors about the end of the world and various prophecies. People widely discussed and are beginning to worry about the mystical date of December 21, 2012, when the Mayan calendar ends. At this period also directed many other mysterious prophecies of seers. Indeed the end of the world by 2012, or is it a big deception and seduction by Satan in preparation for the final history of this world? Mankind can determine the exact date of the end of the world? Consider the most famous book, look in the Bible, what we say to this fact. Test true prophet - How do we know the true from the false prophet? 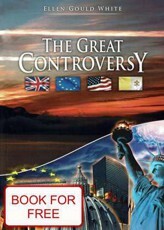 End of the World in December 2012, the arrival of the Antichrist, what about the Bible? We can determine the end date of the world and the coming of Jesus Christ? End of the World in 2012, the Maya and their calendar? To serve the Mayans, the designated end of the world by 2012? AmazingHope.net - End of the World 2012 and prophecy.